The ability to hand over objects to humans is an important skill for service robots. However, determining the proper object pose for handover is a challenging task. Our approach, based on observations of a set of natural human handovers, addresses three related challenges in teaching robots how to hand over objects: (1) how to compute mathematically an appropriate ‘standard’ or ‘mean’ handover orientation, (2) how to ascertain whether an observed set is of good or poor quality, and (3) using (1) and (2), how to compute an appropriate handover orientation from a set, in a manner that is robust to the quality of the set. We first compare three methods for computing mean orientations and show that our proposed distance minimization based method yields the best results. Next, we show that using the concept of affordance axes, we can evaluate the quality of a set of observed orientations. Finally, using affordance axes together with random sample consensus, we devise a method for computing an appropriate handover orientation from a set of observed natural handover orientations. User study data verified that our methods are successful in identifying both good and poor quality sets of handover orientations and in computing appropriate handover orientations from observed natural handover orientations. These results enable robots to automatically learn proper handover orientations for various objects. 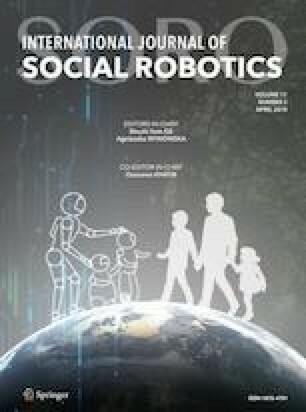 Partial result of the work presented in this article has been published in the proceedings of the 2015 International Conference on Intelligent Robots and Systems . The user study documented in this paper was approved by the University of British Columbia Behavioural Research Ethics Board (H10-00503). Informed consent was obtained from all participants prior to data collection.